Administer Oath of Office to New Officer Rashida Moore. Presentation of Intelligent Transportation Society of Georgia's Project of Significance Award. 2016 City Council, Planning Commission, and Zoning Board of Appeals Meeting Schedules. Approval of Settlement Agreement in City of Dunwoody v. Gustavo Real Eminent Domain litigation. Resolution Adopting the 2016 Operating and Capital Budgets. The revised proposed budget now includes a projected surplus of $98,495. Well it’s local election time. The home stretch for all those local councilmen and mayoral races. I love local elections so much more than National or State races. When most of us vote for a President or Senator, we often vote based on their party affiliation. Whether they are a Republican, Democrat or Other party, we believe that their affiliation to that party means they think or feel the way we do. But local politics are not about Parties. They are just about people. These candidates are often times our friends or neighbors. While we may disagree on how we achieve some issues, for the most part they want the same things we do. A better, safer, more connected community. Voting for these individuals becomes much more difficult as we really have to know what the person is like. For that I have put together the top 9 traits I want to see in my local candidate. So to those running for office in November, pay attention. Trustworthy. You don’t have to tell me what you think I want to hear. Just be honest. I can respect an opposing view more than to find out you lied to me. Communication. We live in a world where it is really easy to communicate to the community. Some of you do a good job at this, but often the silence from our officials is deafening. Lack of communication means I’m going to form my own opinion of what you are thinking. Proactive. Don’t just react to situations. Look around the community at what needs to be done. This can be a hard one if you do not know what you are looking for, so use those communication skills to find out from the residents what they need. Conviction. Have the will to make that tough decision even if it means it will make you unpopular. Do the right thing not the popular thing. Accessible. Just because this may only be a part time job, you have to be available to those that elected you. Respect. Give respect to the residents, the business owners and the local government employees. Without all three of those groups, you would not have a job. Listen more than you talk. This is just a good idea in any job. Make sure you listen to both sides of an issue. Be willing to change. We all have our own ideas, but it is the representative that can put aside their personal views for the greater good that I want representing me. Be a Leader. We hired you to lead. If you do not know how to lead, then maybe this is not the job for you. Follow these 9 traits and you have my vote. And probably a whole lot of other votes. Yesterday I was sitting around a campfire with a bunch of neighbors on the shore of Lake Lanier making smores and telling stories. During a lull, a friend asked if it was OK to talk City Business? I laughed, thanked him for asking and said of course, it's the hobby I love and I'm always happy to talk shop. 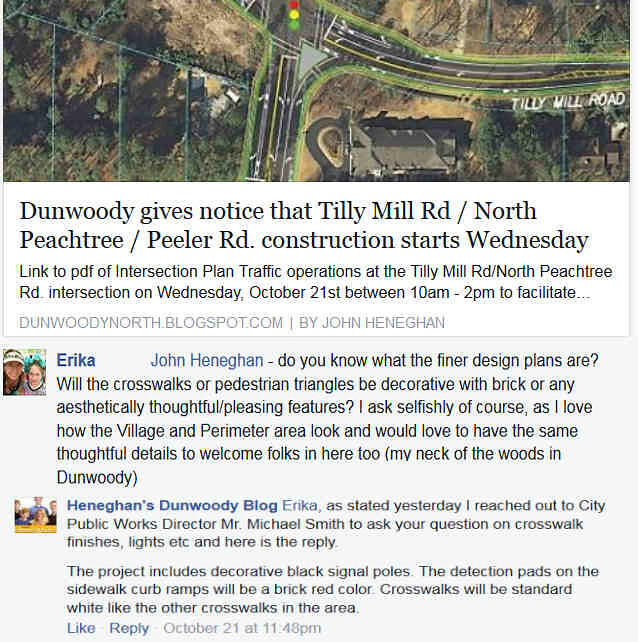 One question turned into several and before you knew it we had 10 people talking about Dunwoody traffic patterns, shortcuts, fixes desired and then a drawn out conversation on four laneing roads vs if you build it they will come. Anyway, I seem to get questions all the time - some I answer immediately and some I pass to staff but I try to follow up the best I can. In case you weren't sitting around a campfire with me, here's a few I received and answered via Facebook, though I much prefer email communication as Facebook is not easily accessible to Open Records review. 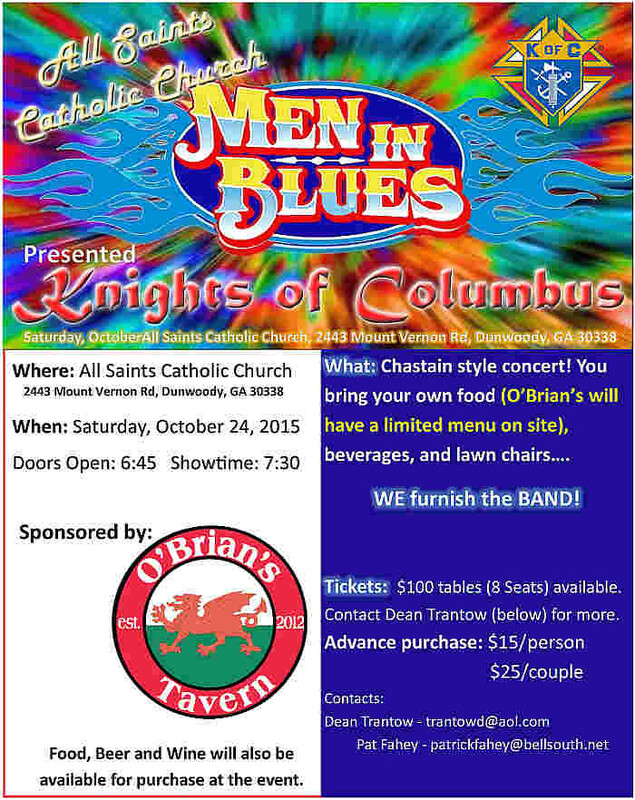 Enjoy a Chastain style concert on Saturday October 24th in your own neighborhood when the All Saint's Knights of Columbus hosts the Men in Blues who were named by Creative Loafing as Atlanta's best Cover Band, best Blues Act as well as best R&B act of 2014. Tables of 8 are still available in advance by emailing trantowd@aol.com and tickets should be available at the door for $15 or $25 but please bring your own lawn chair. 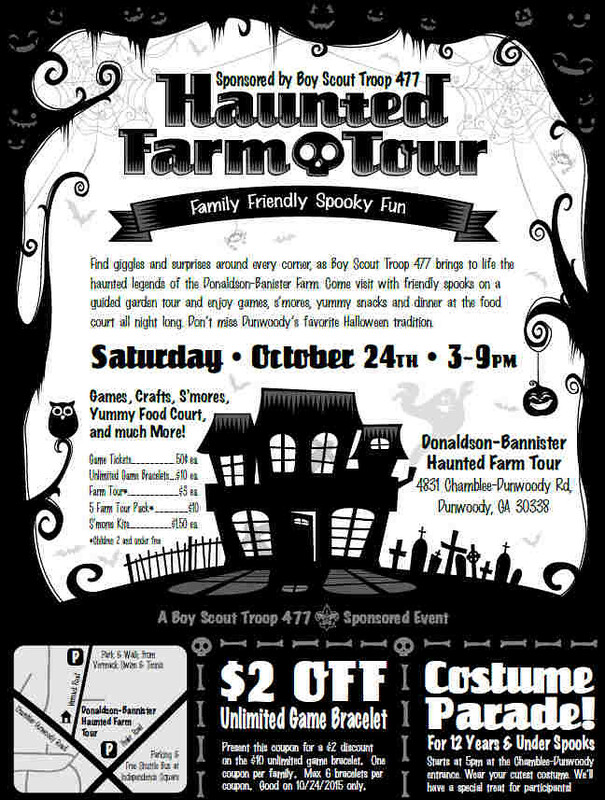 Dunwoody Donaldson Bannister Haunted Farm Tour on Saturday is perfect for young families! Haunting legends from Dunwoody’s past will come to life this weekend during the Haunted Farm Tour that Boy Scout Troop 477 plans at the Donaldson-Bannister Farm. The tour — scheduled from 3 p.m. to 9 p.m. on Saturday, Oct. 24 — will introduce train conductor Ike Roberts, Mr. Donaldson and Mrs. Bannister and feature ghost stories and tales of grave robbers, according to the troop. A costume parade is scheduled for 5 p.m. In addition to the haunted garden tour, the event is scheduled to offer games, crafts, music, a food court, pumpkin decorating and a chance to eat s’mores. 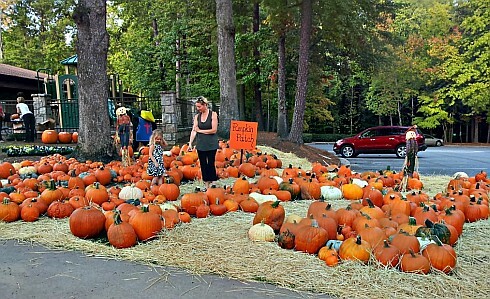 The farm is located at the corner of Chamblee-Dunwoody and Vermack Roads. Parking is available at Independence Square (corner of Chamblee Dunwoody at Peeler) with regular shuttle bus service. Additional parking is located at the Vermack Swim Tennis center. 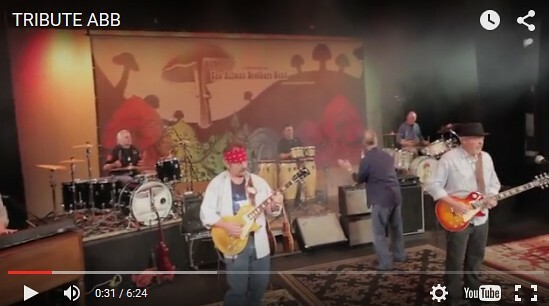 Tribute - Allman Brothers Band offers the afternoons entertainment. 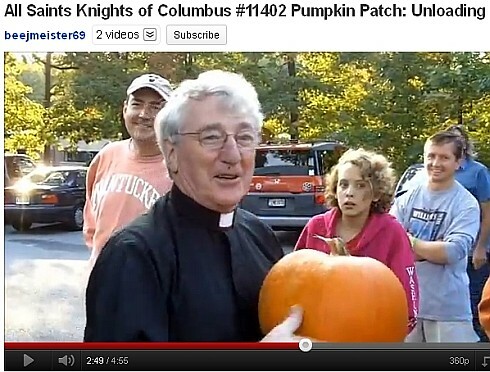 A few weeks ago the Knights of Columbus at All Saints Catholic Church again received a whole bunch pumpkins in a 70 foot trailer that was unloaded by some of the strongest men & women in the city. Their prices are so good that another trailer will be unloaded again the Saturday. The All Saints pumpkin sale will be going on from until October 31st with the hours on Weekdays from 9am - 6pm; Saturdays and Sundays noon - 7pm. The selection is huge but come early as the best carving ones always go fast. Please stop by, pick up a pumpkin and support this fine charitable organization where I am proud to call myself a member. Thanks. Traffic operations at the Tilly Mill Rd/North Peachtree Rd. intersection on Wednesday, October 21st between 10am - 2pm to facilitate some preliminary utility relocation work. This is a huge year long project that is scheduled to start tomorrow, please be kind to other drivers and be patient with the process. The link above gives a good overview of the project but what is not shown is the water retention ponds and stormwater work that will need to be done beside and behind the retirement home. October 21-25, 2015 - Perimeter Mall Dunwoody Preservation Trust (DPT) will host Apple Cider Days, its annual fall fundraising event. Apple Cider Days will feature the family friendly carnival atmosphere with Rides, Food and Fun. Apple Cider Days will be open Wednesday and Thursday (21st-22nd) from 5 p.m. to 10 p.m., Friday (23rd) from 5 p.m. to 11 p.m., Saturday (24th) from 2 p.m. to 11 p.m. and Sunday (25th) from 2 p.m. to 10 p.m.
Coupons for the entire family - click here. 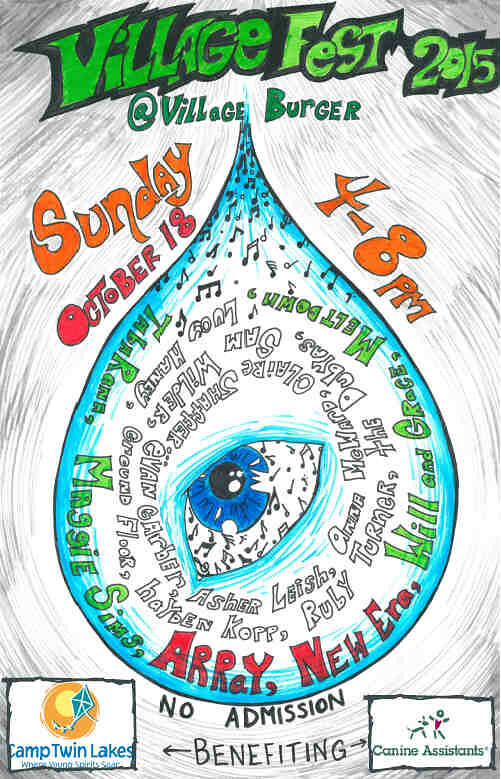 Dunwoody Teens hosting VillageFest music concert on Sunday to raise money for charities. Join me in attending VillageFest 2015, the third annual concert featuring some of Dunwoody’s best young musicians! The concert is free for anybody that wants to come listen. This year the event will be collaborating with three Dunwoody youths, Village Burger, local businesses, and the Dunwoody community to raise money for Camp Twin Lakes and Canine Assistants. 100% of all funds generated before and during the event will be donated to these charities. Rock n’ Roll, cheeseburgers, and charity. . . be there! If you would like to donate to the cause, please visit Lily, Evan, and Dylan’s fundraising page. This type of great local event wouldn't be possible with the dedication of Mr. Mark Gallegos of Dunwoody Music Lessons so if you or a young member of your household is interested in taking lessons, please reach out. Sunday's Kosher BBQ Festival at Dunwoody's Brook Run Park is a huge community wide family event. Please bring winter clothing for donation. Free Admission but please bring canned goods or winter clothing for donations. This looks to be another great event that is coming to Brook Run Park in Dunwoody. The BBQ competition will be held Sunday from 11:30 until 3:30 where beef brisket, beef ribs, chicken, and baked beans will be smoked by teams and graded by Kansas City-Style Judges. Huge amounts of food will be cooked for this competition and we need the community to come out and sample what may have taken many hours to prepare. The competition will include a kid’s zone with moon bounce, face painting, games, and other great children activities. 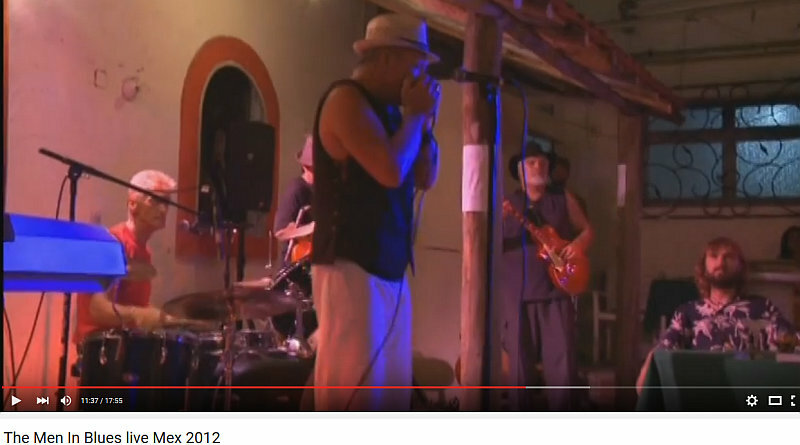 Live music, entertainment, craft vendors, Purple Hippo Art Studio, contests, kosher sides, and drinks will be on site. They are expecting over 3,000 spectators and BBQ lovers watching the 25 BBQ teams (including Police and Fire & Rescue BBQ teams) battle it out for BBQ bragging rights. The event will raise money for the Hebrew Order of David whose purpose is to volunteer time in the community and donate money to local organizations through donations and volunteer projects. Charities benefiting from the event include ICareAtlanta, The Atlanta Community Food Bank, Gift of Life, The Jewish Home Life Communities, and JScreen. · Free Admission but please bring canned goods or winter clothing for donations. 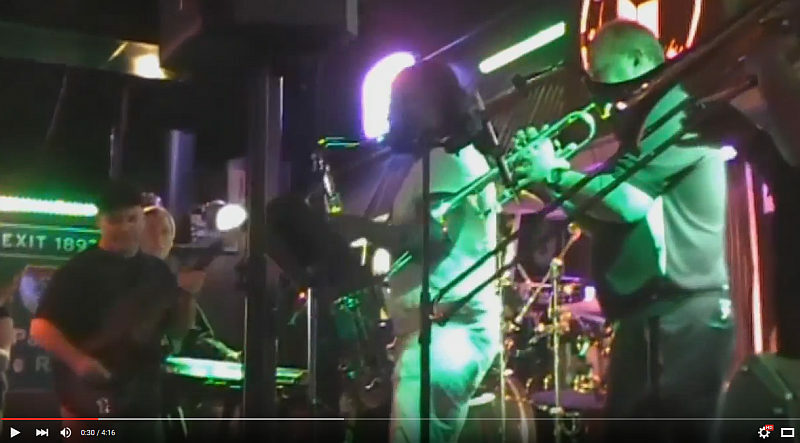 · Local Charities will benefit from event proceeds. · The DeKalb County Fire & Rescue Services Dept. This years fall festival begins at 9am after the 6th annual CV Classic 5K and will end at 2pm. Bracelets will be $15 and will include inflatables, games, crafts, face painting and fair hair. Cash items will include concessions, bake sale, book sale, photo booth, and silent auction. This family friendly event is hosted by the PCMS Drama Club as a yearly fundraiser. Fall festival not only provides financial support for the club, but also showcases the school and it's commitment to the Arts by engaging the community in a fun and positive way. Please come out and show your support while having a bunch of fun and sharing some memorable moments with the whole family! Why does the PCMS Drama Club host "Fall Festival"? The Dues paid covers only part of the expenses for Drama Club(typically ~ $15,000/year). We also support PCMS's Patriot TV. We raise the remaining funds thru our own non-profit 501 c3 organization, including Fall Festival. Fall Festival not only provides finanical support for the club, but also showcases our school and its commitment to the Arts by engaging our community in a positive way. 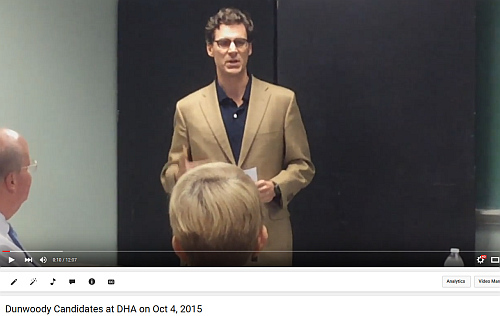 Video from the October 11, 2015 Dunwoody Candidate Forum, sponsored by Dunwoody Homeowners Association and Dunwoody Crier at Dunwoody High School. Voting information is available on the City of Dunwoody website. 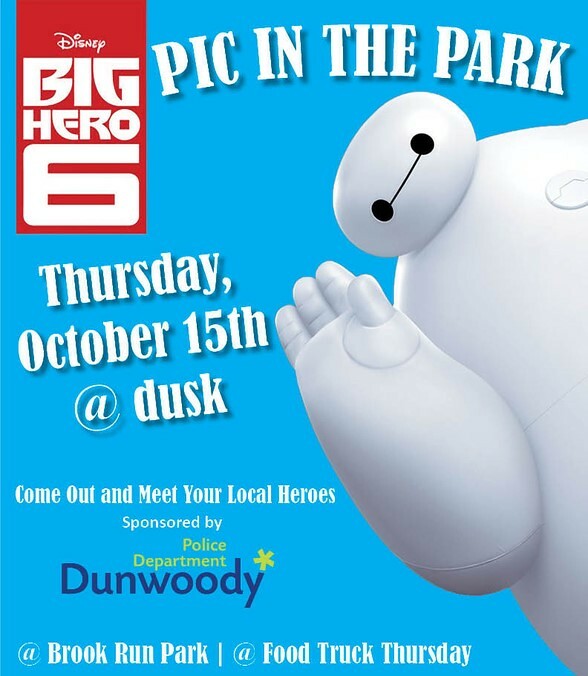 Disney Big Hero 6 movie capping off Dunwoody Food Truck Thursday. Come and see us this week for Dunwoody Food Truck Thursdays! We will be featuring a great group of food trucks + Dunwoody Police Department + a movie a dusk. Only 3 weeks remaining, don't miss it! Update on CAD-to-CAD Interface Project. Presentation of the Proposed 2016 Operating and Capital Budgets. Appointment of Harrison D. Nathan to Audit Committee. Resolution to Amend the 2015 Operating and Capital Budgets. Approval of Contract for 2015-2019 External Auditor. Resolution to Establish Heritage Subdivision Residential Streetlight District. Approval of Memorandum of Understanding for Georgia Department of Transportation's Perimeter Traffic Operations Program. Review of Results for 'Name Your Park' Contest for Park at Pernoshol Court. Approval of a Construction Contract for Chamblee Dunwoody Road Water Main and Paving. Funding Authorization for Chamblee Dunwoody Road Pedestrian and Bicycle Improvements. RESOLUTION: Adopt the Comprehensive Plan Five Year Update of the City of Dunwoody. Independent School System Meetings Mon & Tues in Dunwoody at Library. Below are the responses by the Dunwoody Mayoral Candidates to the League of Woman Voters and the Atlanta Journal-Constitution 2015 Voter Guide. Based on the AJC website, it appears that Candidate Dennis Shortal did not complete the survey. What experience do you bring to the job to set policy for your city and what is your motivation to serve? Steve Chipka Retired BellSouth Manager, started as a technician, moved into Sales, then on to corporate training with a focus on Financial Management training for Account Teams to better relate to customer CFOs. Moved into Market Management, working with new product teams focusing on customer needs. Finished my career at BellSouth in the Performance Improvement and Organizational Effectiveness teams, helping internal clients meet their objectives with systems, processes, and people. I believe the City of Dunwoody needs someone who can listen to the residents and use business skills to mange city resources more effectively. Mike Davis My motivation to serve is that I love Dunwoody, and I am grateful to have had the opportunity to lead Dunwoody as the Mayor for the past four years. We have term limits for the Mayoral position, and I want to continue the work that has been done in making Dunwoody the best city that it can be for another term. I have raised my family here and have been passionate about serving this community thru years of civic involvement and leadership. My professional experience is in business management which serves me well in the policy setting role of Mayor. I have spent the last four years building relationships with elected officials and community leaders in the county, state, and other municipalities, enabling us to work together on policies affecting Dunwoody and the surrounding areas. The members of our city council work well together under my leadership and are respectful of each other’s view and opinions, while voting with our own consciences on every topic. We read often about municipal governments that are dysfunctional because the elected officials can’t seem to work together. I’ve worked hard to create an environment of trust and respect, allowing us to do the work of the city efficiently and effectively. Chris Grivakis Financial/analytical background useful/needed to analyze cost/benefit of projects, setting budgets, and adjusting budget as needed. I have been an active participant in Dunwoody Homeowner Meetings (DHA) meetings for several years, where city issues are presented, and have questioned potentially adverse proposals (traffic circle, higher-density Perimeter area, high-density townhomes). My motivation to serve: (1) avoid over-urbanization of Perimeter area under guise of all-growth-is- good mantra. High density/excess growth will create excess traffic that will choke area and have potential to increase school population in an already taxed school system with some of the traffic invariably flowing through our city and neighborhoods; (2) maintain current zoning in residential areas to maintain our property values and our suburban aspect which is why we all moved and remained here; (3) prioritize all projects and ensure that needed projects (sidewalks) are placed ahead of nice-to-have projects (city hall/gateways). There are many projects we would like such as a city hall and gateway entrances but we need to defer these to future after pressing projects are completed; (4) change city charter to require voter approval for taking over county-provided service (fire, waste) so that all of us get to decide rather than only 4 of use deciding (in 4 to 3 council vote). What will be your top two priorities during your term of office and how will you pursue them? Steve Chipka 1. Create a project tracking system which will track resources for a project from planning to completion. Present method seems to be calendar based with no transparency or accountability. An example is the 911 CAD-to-CAD Interface project which has gone on for 4 years. 2. Improve the lead time of City Council Agenda availability so the public has more time to research and develop public comments at City Council meetings. I will pursue these priorities by ensuring I have an understanding of current issues related to them and develop recommendations for systems/processes to improve performance. Mike Davis My top priority is making Dunwoody an attractive place to live, work, and play. To me that means having the kinds of amenities that attract well educated and involved families and singles, as well as top notch employers. This is what keeps the values of our houses high and provides demand for our neighborhoods when our older citizens are ready to downsize. With a vibrant community comes challenges such as traffic and schools. 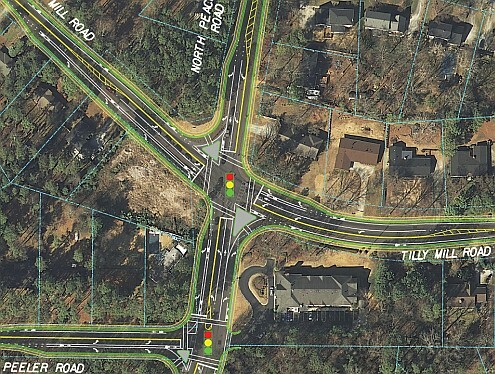 I have been very involved in getting the Georgia DOT to fund the 285/400 intersection fix. On the local level we can impact traffic positively by maintaining and upgrading our intersections, thirteen of which are in our current plan. 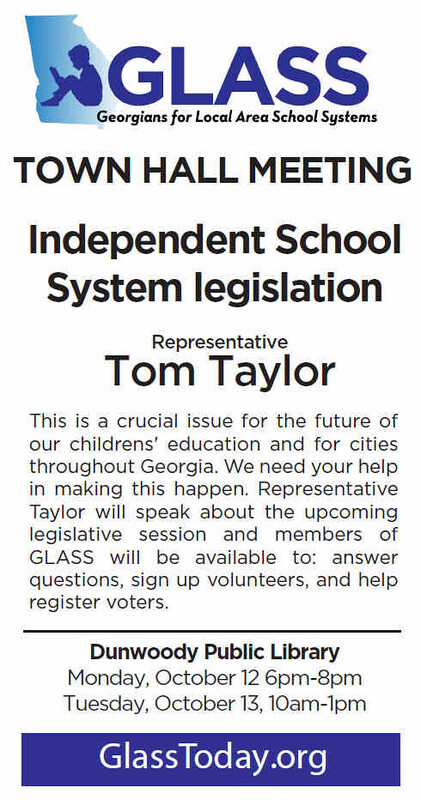 As for schools, we are very focused upon working with our state legislators to bring about a constitutional amendment which will, when passed, give Dunwoody and other communities the right to establish right sized locally controlled school systems. Safety also a top priority. Dunwoody is already considered in the region to be a very safe community, and we need to maintain that vision by providing the optimal sized police force to keep not only our 45,000 residents safe, but our 125,000 work day population safe. I fully support our police chief in his implementation of new ideas, such as body cameras, etc. Chris Grivakis Maintain zoning: the city is reviewing the land-use for Perimeter, and initial consultant proposal is 30-story buildings near mall and 14-story buildings near Wal-Mart and Ashford Dunwoody Rd. The proposal was deferred by council and it is unclear what type of change could be approved (current zoning is 5-stories with variance needed to exceed). I would work to maintain zoning so we have development compatible with our suburban character so that our schools and roads are not overburdened. Large projects would require council review, a process that is diminished if zoning changed to allow taller buildings. Excess traffic from higher density threatens the Perimeter area’s viability. Traffic will flow through city and clog our roads (traffic has worsened without this development). Prioritize all projects: there are many projects we would like to have. Some are needed (sidewalks, repave streets) while some are not pressing (city hall, gateways) or ever needed (traffic circles). I would shift all spending to needed projects and put nice-to-have projects at bottom of list – we’ll get to them after necessary projects are done, if we have funds and citizens want them. We voted to become a city so that we can have sidewalks/paving not gateways/city hall. The 1% Local Option Sales Tax (LOST) is levied by counties and shared with cities therein based on a formula agreed to at least once every 10 years. LOST used for annual operational expenses and reduces property taxes. Do you support or oppose the formula which is currently used to determine your city’s share? Why or why not? Steve Chipka I support the current formula based on property value of the cities. The property taxes are the basis for the County collecting revenue for services delivered. The primary reason, as I understand it, for incorporating cities was the perceived lack of equitable County spending based on at least some form of rationale. Mike Davis Dekalb County does not have a LOST like most counties in Georgia. It has a 1% Homestead Option Sales Tax (HOST). They are similar but different in many ways. I oppose the system used by the county and will be working to change the formula. Forty percent of all the sales tax collected in Dekalb County is collected in Dunwoody, in particular at Perimeter Mall. I'm not suggesting that we should get 40% of the entire county’s sales tax revenue, but people like to shop at our mall due to the efforts the city puts forth in safety, beauty and infrastructure. Dunwoody represents 6.5% of the population, brings in 40% of the revenue and gets back 5%. I believe we should get 12% of the revenue. The bigger tax argument I have with the county is their plan to put forth an additional 1% sales tax for a Special Purpose Local Option Sales Tax (SPLOST). This will make Dekalb the highest sales tax county in the state at 8%. Dunwoody is in the corner of the county surrounded by Gwinnett 6%, Fulton 7% and Cobb 6%. We are running the risk of pricing ourselves out of competition. And for what? The county has mismanaged their budgets for years and their solution is to raise taxes. They are 400 miles behind in paving and repaving. They see no way to catch up without raising taxes. I will oppose this solution. Chris Grivakis I favor continuance of LOST. The formula has many nuances and complexities including whether to base the formula on population, amount of taxes collected within our city’s boundaries, or amount of services that we provide which reduces the county’s need for the funds and increases our need for funds. I would have us determine the calculation using the different methods, determine an average after removing outlier results, and try to at least obtain the average of the amount determined. This process would require input from City Manager, Finance Director, all council members, along with our state representative/senator to come up with a consensus. Cities often set aside unspent funds as reserves. If your city budget has reserves, is there a minimum balance which should not be touched except in emergencies? What is it? What constitutes ‘emergencies’ in your city? 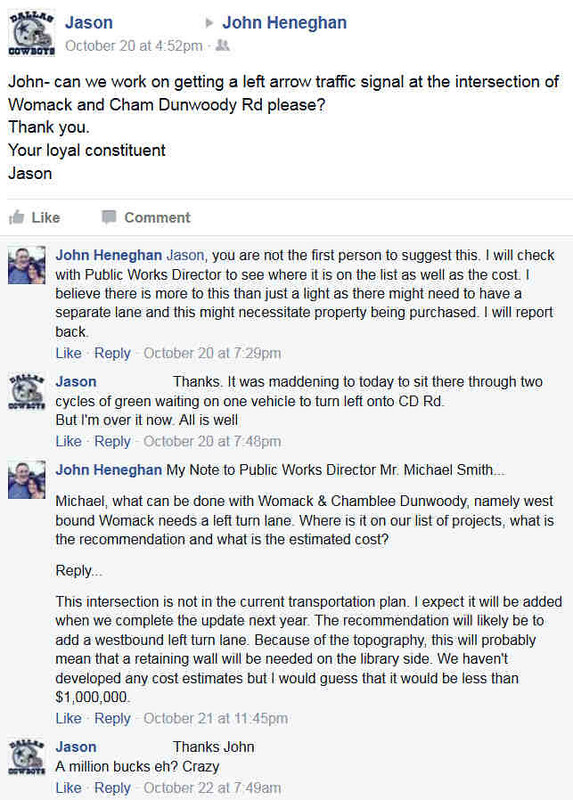 Steve Chipka The City of Dunwoody has an implied Reserve Requirement of $400,000. Some on City Council have wanted to use the Reserves for additional paving. In my definition that is not an emergency. I have never seen a definition of qualified “emergencies” published. My definition of an emergency is a catastrophic event, uncontrollable by the residents of the city, i.e. a tornado. Mike Davis We keep a minimum of four months and maximum of eight months of General fund revenue in our reserve account. This was agreed on early in my tenure as Mayor and has been the rule since. We as a city council have not actually identified what constitutes an emergency, but in my opinion an emergency situation would be triggered by some kind of natural disaster such as the 1998 tornado and the 2009 flooding. In both situations, a great deal of damage was done in Dunwoody. Chris Grivakis Best practices dictate a minimum of 90 days worth of working capital. I would work with City Manager, Finance Director, and council members for an appropriate amount. Some examples of an emergency where we could use these funds would be after a natural disaster (tornado) or stopping an immediate threat to residences or roads such as swift erosion from nearby creek/river. Would you support a “Pay to Play” ordinance which could ban or limit municipal candidates from receiving campaign contributions from holders and/or seekers of City contracts? If yes, please explain the parameters you would support, in terms of dollar limits, time limits, and ease of access for public review. If no, please explain. Steve Chipka Yes, I would support an ordinance which would limit the contributions from holders and seekers of City Contracts. I recommend that a Dollar amount of contracts be used to set the contribution limits. The higher the amount of contracts held during a time period, say a year, the lower the amount of contribution the contract holder/seeker could provide to a candidate. All contributions are required to be disclosed on the Contributions and Expenditures form, which, when filed, is available online at dunwoodycity.gaeasyfile.com. Mike Davis I personally don’t accept campaign contributions from anyone who does business with the city, including contractors or developers. I don’t support an ordinance because campaign disclosure rules already are in place to report significant contributions. I have never supported knee jerk reactions leading to more laws/ordinances which must then be enforced by more government. The citizens are intelligent enough to look at campaign contributions to decide for themselves if there is an appearance of undue influence. All my campaign contributions are disclosed on the proper sites, mandated by the State Ethics commission. I seek contributions from friends, family, and neighbors who support my candidacy and philosophies and who like the way the city is currently being represented. Chris Grivakis Current holders of city contracts should not be allowed to contribute to candidates. Other contributors to candidates should be limited to a modest contribution and not allowed city contracts for two years after contribution. Some cities have faced legal action because of the use of prayer in government meetings. What is your opinion on this issue for your city? Steve Chipka I firmly believe in the separation of church and state. The City of Dunwoody uses a generic invocation which does not specifically represent a religious point of view. Chris Grivakis Be respectful of all religions. A moment of silence is appropriate to give everyone the opportunity to pray or meditate if they wish to do so. 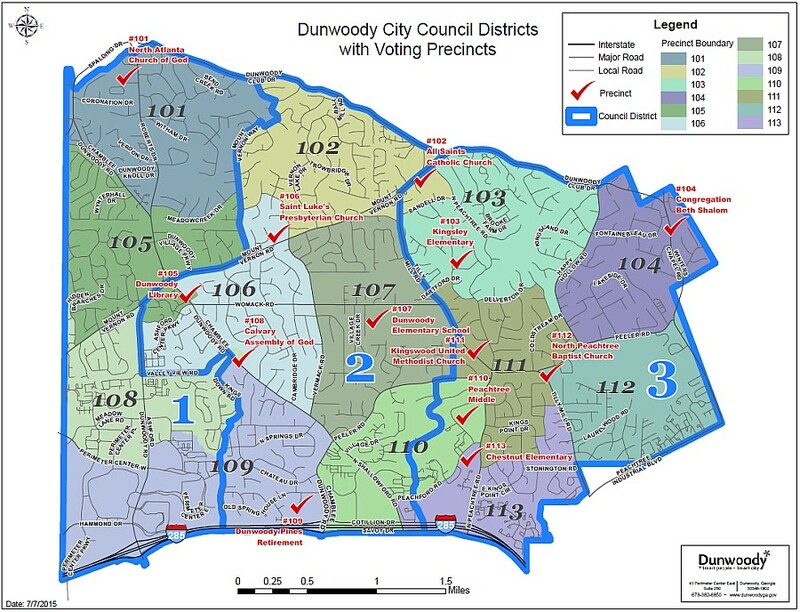 Below are the responses by the Dunwoody District 1 Candidates to the League of Woman Voters and the Atlanta Journal-Constitution 2015 Voter Guide. 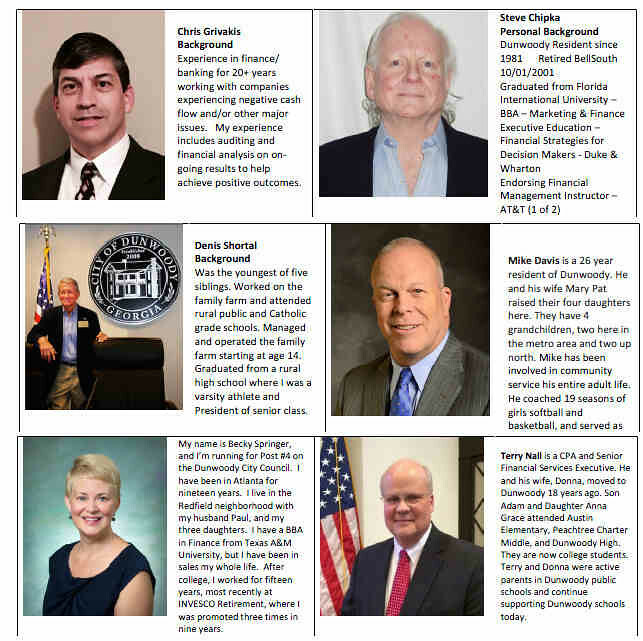 Terry Nall As a CPA and senior financial services executive with over 30 years experience in multiple positions of CFO, COO, and President, I bring organizational and analytical skills to the Dunwoody City Council for the issues of the community. These skills, coupled with common sense and a strong belief in the biblical golden rule, have served me well in life. Stepping forward to provide community and church volunteer and leadership services began at an early age through community service mentoring by my father. Becky Springer My experience in business involves managing people and projects. This basically means working well with others to solve and implement solutions to complex problems. I am adept at delegating, multi-tasking and meeting project deadlines. Being able to research solutions and implement ideas are key components to setting city policies. 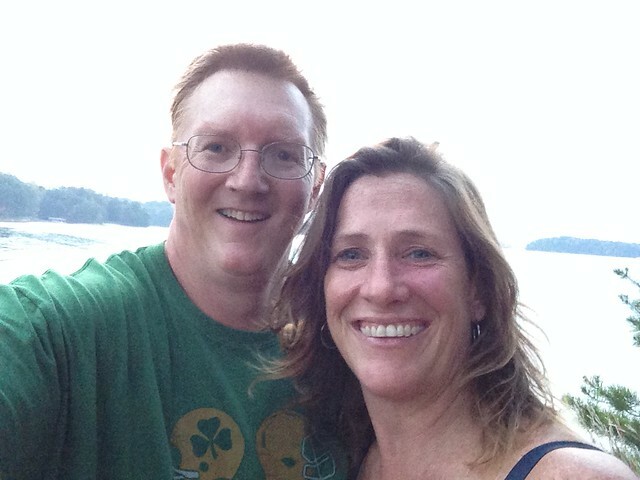 I love Dunwoody and feel that it is one of the best places to live and raise a family. Our city needs Council members who recognize that they work for their constituents, not themselves. Additionally, these Council members need to be responsive to their citizens and held accountable for decisions made. The 1% Local Option Sales Tax (LOST) is levied by counties and shared with cities therein based on a formula agreed to at least once every 10 years. LOST is used for annual operational expenses and reduces property taxes. Do you support or oppose the formula which is currently used to determine your city’s share? Why or why not? Terry Nall DeKalb County and the City of Dunwoody do not participate in LOST. DeKalb and Dunwoody participate in HOST, which is reserved for capital projects funding. The HOST formula is set by state statute and has allowed Dunwoody to invest significant sums into capital improvements to the city’s infrastructure. Becky Springer The City in which I am running is The City of Dunwoody. Dunwoody resides in Dekalb County. DeKalb and Rockdale counties levy a HOST and are prohibited from levying a LOST, because doing so would cause them to exceed the 2% statutory cap on local sales taxes that can be levied in a county. HOST is a county sales tax that is primarily used to provide county property tax relief. Up to 20% of the HOST tax proceeds may be used for capital projects. In Georgia 1.8 million people currently live in poverty, including 137,000 working families and nearly 651,000 children. What policies would you support to address inequalities that exist in your city? Terry Nall Dunwoody actively provides caring services to the less fortunate through active involvement and partnership of the Dunwoody Police Department, the city’s church community, the generosity of Dunwoody residents, and non-profit support services to solve these needs. When a new need is uncovered, the community and these partners respond extensively. One recent example is when an apartment complex fire broke out and displaced a dozen residents, Dunwoody Police alerted me of the need beyond the immediate resources of the Red Cross. I engaged the local volunteer resources of Saint Luke’s Presbyterian Church and I Care Atlanta and then coordinated an appeal to our Dunwoody residents. Within a week, all long-term needs of the displaced apartment residents were met. Becky Springer It is a sad state of affairs that leads to these statistics, however there are many governmental and not-for-profit organizations that contribute their fair share to this philanthropic situation. My community in particular is very giving through the vehicle of the church network and other philanthropic programs, such as Goodwill and the CAC. Terry Nall Dunwoody is already designated a City of Ethics and adheres to a stringent ethics ordinance for elected officials, staff, and candidates for political office. Dunwoody also has a strict Purchasing Policy that is closely monitored by its Finance Director, a contracted Internal Auditor, and a citizens-based Audit Committee. Becky Springer The issue with candidates receiving contributions from holders and/or seekers of City contracts isn’t necessarily the problem in Dunwoody, rather the issue is Council members receiving kickbacks from builders/developers prior to a a major project being implemented. Consistently, our City Council passes legislation where projects are implemented without knowledge by its citizens, in an inefficient and unaccountable manner. The method for electing isn’t flawed, the demographics of the individuals who vote is skewed. Sadly, I’m not sure how to incite the vote. Every city elects council members through at-large voting, at-large with a district residency requirement, district voting or a combination. What do you believe is the best method of electing city council members to ensure proper representation for your citizens? 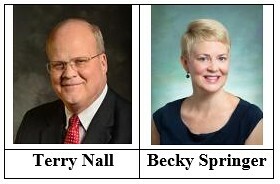 Terry Nall Six Dunwoody council members are elected by an equal split of three members via district voting and three members via at-large voting with a district residency requirement. Combined with the Mayor on an at-large basis, this system ensures no one district of the city controls a majority voting bloc on the Council. This system works very well for Dunwoody. Becky Springer I agree, the idea of an at-large candidacy based on that person residing within a certain district is fundamentally confusing. Is it really best for a city to have member from a certain district, running in an “At-Large” position. I’m torn on that issue. In my City, it is a statistical fact that more candidates and voters come from our District #1, however, a city needs to have equal representation, so yes, I guess that’s appropriate. Cities across the country are embracing aggressive goals to reduce carbon pollution. What do you believe your municipality should do to support cleaner air? Terry Nall The Dunwoody area has three MARTA stations and all are located in the Perimeter work areas. Multiple entities and employers operate circulation shuttles in and around the entire Perimeter area and connect to the three MARTA stations. Becky Springer We are a small city of roughly 47,000 people. Our biggest challenge is that we are positioned between two major highways, and are a cut-through from one freeway to another. As a city, we recognize this and are strategizing to handle this. The best thing I can do as a candidate, is to be open-minded, recognizing that the gridlock is here, and understanding how can we implement solutions to accommodate this growth, while keeping the efficacy and quaintness of our great city. Lynn Deutsch I am completing my first term as a Dunwoody City Council Person. Prior to my service on Council, I was a member of the Dunwoody Planning Commission. I earned a master’s degree in City Planning from the Georgia Institute of Technology and a graduate certificate in Gerontology from Georgia State University. I also earned bachelors' degrees in Government and Journalism from the University of Texas at Austin. When asked to set or review existing policies, I dig deep into the core issues. I am a consummate researcher with a passion for best practices. I believe that we can learn from other cities and they can learn from us. While one size never fits all, there is an abundance of information available to judge how policies have worked for other communities. When a challenging problem arises, I look for outside of the box solutions. I decided to run for re-election because I want to continue my efforts to make Dunwoody a better and stronger community. My priorities for my next term include will include paving, parks, increasing citizen engagement opportunities, and making careful zoning decisions that protect the character of Dunwoody’s neighborhoods. I will continue to make decisions within the context of both what is right for now and what we need for the future. I value my interactions with Dunwoody residents and look forward to continuing to work with our citizens to make our city a better place. John Heneghan As a founding member of the Dunwoody City Council where I have served for the last seven years, I am proud to say that I have had a hand in setting all policy from startup to current day operations. Prior to Cityhood, I served on the Citizens for Dunwoody Committee where I was the Transportation Chair and prior to that I was President of my neighborhood civic association representing over 1,000 homes on governmental matters. With a degree in Public Administration, I have dedicated myself to public service where I hope to fulfill two ideals, the first is that when I have the ability to make a difference, I have a responsibility to do so and second, transparency in Government breeds self-corrective behavior. Seven years ago, I made transparency and open government a keystone of my governance policy therefore I have personally published every agenda, every public document and even live streamed meetings to my personal blog (Heneghan’s Dunwoody Blog) documenting actions taken by the city. My motivation to continue serving is that I believe I have the ability to continue making a difference in making Dunwoody a better community for all who live and work here. Lynn Deutsch Dunwoody, because it is in DeKalb, does not participate in the LOST. DeKalb has the HOST. Regardless of the tax levy, my preference is for a formula based distribution that is clear, concise and easy to understand. Cities should be able to estimate their portion of the tax levy with ease, so they can plan accordingly each year. John Heneghan DeKalb County currently has Homestead Option Sales Tax of 1% (Host) and the County Commission decides the percentage that can be used for tax breaks but typically it has been 80 percent of these funds go to provide tax relief for property owners and the other 20 percent goes towards infrastructure projects. Based on the decisions by the DeKalb County Commission to not put the entire 1% sales tax towards property tax relief, Dunwoody typically gets 5 to 6 million dollars for city infrastructure projects. With the passage of HB215, DeKalb County may be proposing to the citizens a referendum to raise the overall County sales tax another 1% from 7% to 8% in order to put the additional funds into County wide infrastructure projects including Dunwoody. I am very happy with the current formula to share the sales tax revenue and if DeKalb proposes changes to the sales tax rate, it would then be put in front of all the citizens to approve or deny via a referendum. If approved, it would guarantee Dunwoody a consistent tax flow for infrastructure improvements and therefore it would not subject to the whims of the DeKalb County Commission who decide the percentage to be put toward to tax relief vs infrastructure improvements. If rejected, I believe the current HOST agreement would stay in place and the current 1% sales tax could be used for either homestead tax relief and/or a combination of tax relief and infrastructure improvements. Lynn Deutsch This question is a difficult one because it presumes inequalities that exist simply because of city policies, when the reality of poverty is much more complex situation. The biggest impact on poverty is likely education level, which is part of the reason I am a strong supporter of smaller school systems and the efforts to make this a reality in Georgia. I will point out that Dunwoody has a strong economic development department which continues to bring 1000s of new jobs to Dunwoody. Because these employment opportunities are nearby, some of the burdens facing the working poor, in terms of access and transportation, are removed. Dunwoody has strong code enforcement policies which force landlords to maintain their properties and provide a safe places for residents to live. John Heneghan By most accounts, the City of Dunwoody is a wealthy area but that does not mean that we also have citizens that are struggling financially. As per the 2010 census, 6.2% of Dunwoody families and 7.9% of our population were below the poverty line, including 10.2% of those under age 18 and 3.1% of those age 65 or over. As far as policies, it is my belief that a strong city economy & new job opportunities raises the prosperity and over all opportunities of the entire community. New buildings create construction jobs and will eventually bring higher paying office jobs to that building and that in turn will spur development of the area to include hotels, dining and retail employment opportunities. The City values all of our citizens and we have worked hard with our multifamily housing code enforcement program to ensure that everyone has a safe place to live no matter where it is located within our City. The city’s police department works very close with available social services in the area to be the first level of a protection when they find those in need. As an elected official tasked with serving all 50,000 residents, I take my responsibilities to improve everyone’s living conditions very seriously. Lynn Deutsch I do not think it is appropriate for candidates to receive contributions from those wishing to do business with the city and I personally have not accepted any. Contribution records are public records and should be available on the Internet. John Heneghan I would welcome such an ordinance but some would say that is self-serving because as a Federal Government Employee serving under the requirements of the Hatch Act; I have never accepted a single dollar of campaign contributions. If a “Pay to Play” ordinance were enacted it could also be seen as providing an advantage to those already seated as it would tie the hands of those looking to overturn the incumbent. The City of Dunwoody ethics ordinance that I helped draft currently requires all zoning applicants to publicly disclose if those involved have ever provided campaign contributions to those who may influence the decision. Besides complying with Dunwoody’s ethics ordinance, elected officials also need to report all campaign contributions as per state regulation and all of that information is public information open to critical review. In short, I believe the City of Dunwoody has sufficient protections in place and we do not need to put forward a specific “Pay to Play” ordinance. Lynn Deutsch Each of the three districts in Dunwoody has one representative elected locally and one who is elected citywide. This works well because each resident has two council members residing in their district, who should have a strong understanding of their district's unique needs. However, because the Mayor and half of the Council is elected city-wide, there is always an understanding that decisions must be made in a manner which benefits the entire city. This works well for our city. 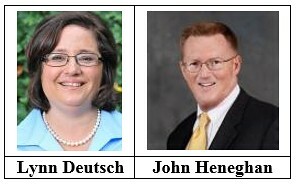 John Heneghan The City of Dunwoody uses a combination of both district and at-large representatives on our City Council. We have three voting districts whereby each district has both a district representative and an at-large representative living within each district. This system allows maximum representation as every citizen would be voting for 5 of the 7 representatives on the Council whereby they would be voting for the Mayor, three at-large representatives and their own district representative. With Dunwoody being 13 square miles and having 50,000 residents, this system forces the elected officials to be geographically diverse in order to equally serve all communities within the city. Lynn Deutsch A traffic light timing system and a traffic management system have been recently installed in the Perimeter Center area. One of the goals of these improvements is to keep traffic flowing as efficiently as possible. Additionally, with the same goal of improving traffic management, the city is embarking on several major intersection improvement projects. Dunwoody has installed miles of sidewalks and is installing bike lanes. These infrastructure improvements allow residents and visitors alternatives to driving to their destinations. The city has also acquired acres of new green space and is working on enhancements to our zoning code that would require new large developments to include green space in their plans. John Heneghan As a member of the Dunwoody City Council, I was instrumental in setting initial green policies into place whereby we achieved Gold level certification under the Atlanta Regional Commission’s Green Communities Program but we continue to strive to reduce our impact. We currently require new city-owned buildings to achieve LEED certification and will attempt to do the same for all renovations. We have conducted energy audits on the city’s buildings, implemented an Energy Star purchasing policy, installed LED bulbs in traffic signals and adopted a lights out/power down policy for all city employees and facilities. The city has adopted a no net loss of trees policy for city properties and we are designated as a Tree City USA. We optimized traffic signals throughout the business district to improve traffic flow. We actively participate in the city’s Safe Routes to School program and we conducted walking audits to identify long-term and short-term infrastructure needs to improve the walking and biking environment around the schools. At my request, our Dunwoody Sustainability Committee is currently exploring solar energy equipment bulk purchasing opportunities for our citizens very similar to what “Solarize Tybee” initiated. The city is pushing forward with biking and walking trails to attempt to reduce vehicle traffic. We reduced the number of garbage trucks on the roads and we are investing heavily on intersection improvements to improve traffic flow and safety. See Full Candidate Profiles - here. Dunwoody Tidbits - Taylor Wesley, home tour today, food truck, football, races, bbq, beer, burgers, ballot, carnival & much more. 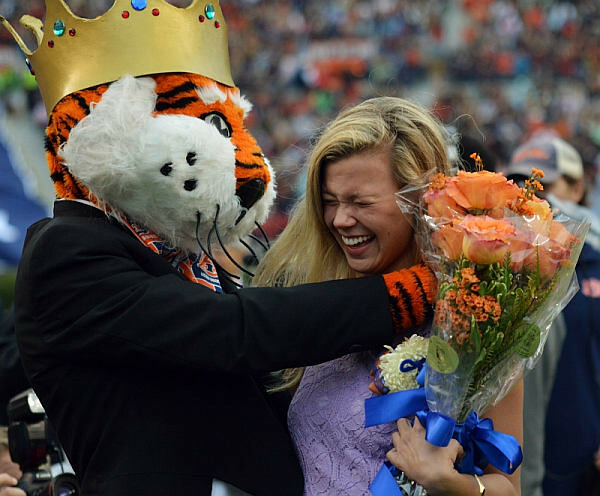 Very proud to read about another great Dunwoody Homecoming Queen! Related to Taylor's story, I invite you to attend an evening of insightful discussion and support on raising awareness of mental health conditions and challenges our teenagers face. Tonight at 6 pm Chamblee Charter High School will be hosting a free mental health awareness session where everyone can learn how we can identify those challenges that teenagers face and support our young people to maintain positive emotional well-being and self-image. This event is sponsored by The Lee Thompson Young Foundation, in collaboration with Chamblee Charter High School. Admission is free. 43rd annual Dunwoody Home Tour is today from 9:30 to 3 pm. Food Truck Thursday is hosted by your new Dunwoody City Councilwoman, Ms. Pam Tallmadge and she has ordered up some beautiful weather, great food and a talented singer who use to be a famous reality tv star. Friday night I will be attending one of the most anticipated high school football games of the year when the Marist War Eagles will be visiting the St. Pius Golden Lions. Kickoff is at 7:30 but get there early as parking and seating is limited. 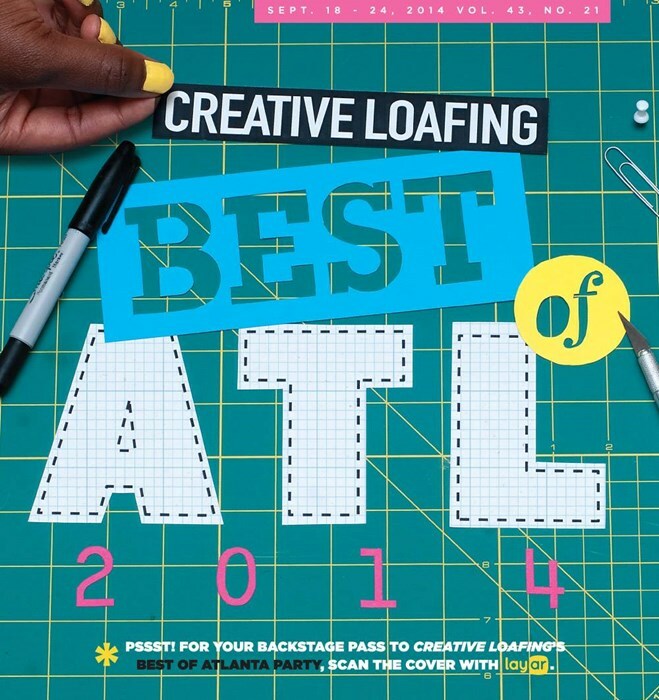 Atlanta Parent Magazine offices are located just a stones throw from the City just inside 285 and I have used them and their website numerous times in the past when looking for ideas of things to do with my children. This Saturday Oct 10th they are hosting their annual Atlanta Parents Family Festival on the campus of Mercer and I highly recommend it for great information and cheap children's activities for the day. PS: If your children have four legs, please don't feel left out as your parent expo is also coming up on November 14th. Talking of four legged friends, on Saturday Oct 10th the is the Run Your Happy Tails Off Run and Festival at Brook Run Park. I have been researching information for an upcoming City of Dunwoody forum for Dunwoody High School Students and discovered that our neighboring city has a Youth Leadership Sandy Springs program. We need to do something like this! Here is the sample Dunwoody Ballot for November 3rd and please let me help guide you on one item, please vote yes to approve the referendum for HB 597 which states "Shall the Act be approved which revises the Board of Ethics for DeKalb County?" I have known about our own Chief Billy Grogan publishing a book on social media and policing for awhile but this morning I got a review from a neighbor, so may we see it on the New York Bestsellers list soon! Kudos Sir! Is your family interested in riding in a huge well organized Saturday morning bike ride? Check out the DES Tour de Dunwoody on Sat October 17th. Dunwoody Nature Center is climbing trees on Sat Oct 17th with ropes, if you are interested, check it out. Huge RunDunwoody race is Sunday Oct 18th, please support the Rotary. 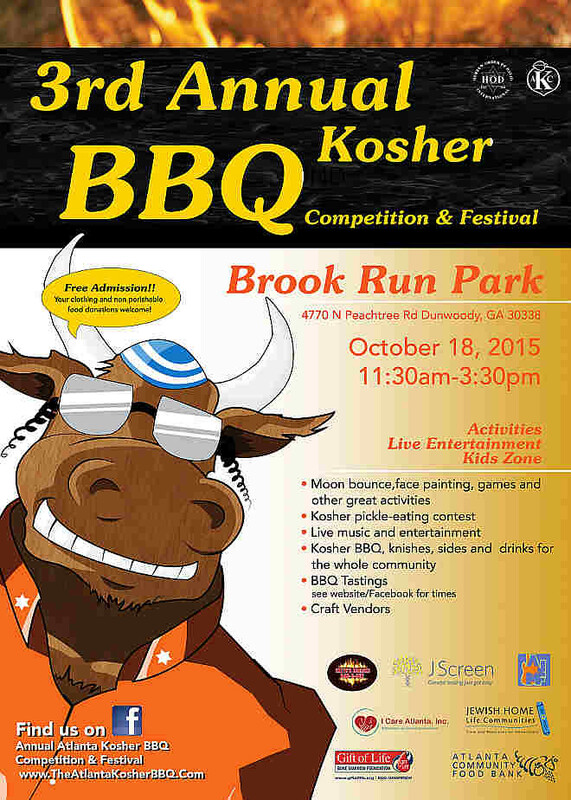 Sunday October 18th - Brook Run Park will be the site for the 3rd Annual Atlanta Kosher BBQ Festival. 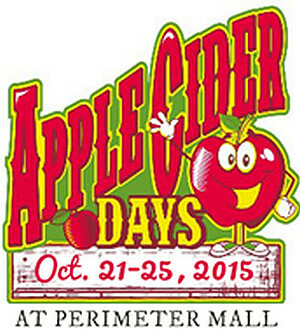 Dunwoody Apple Cider Days Carnival at Perimeter Mall is October 21 - 25. If you like digging in the dirt, do I have something for you! Help Trees Atlanta on October 24th to plant trees at Brook Run Park. 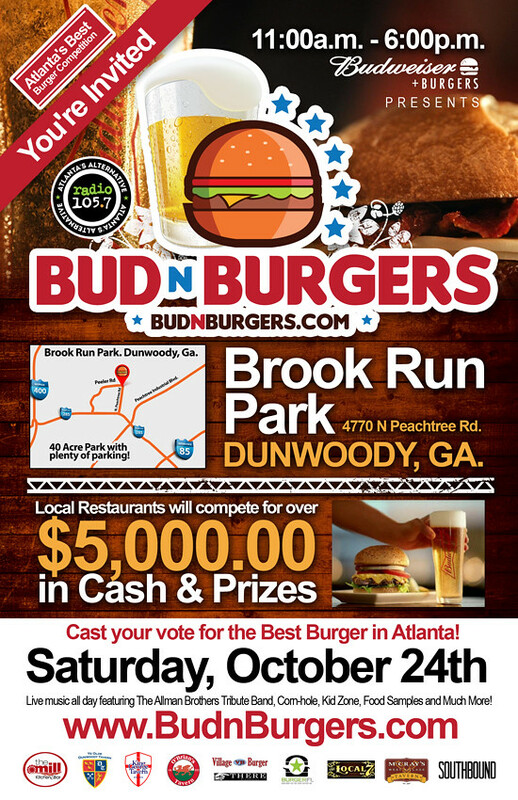 After planting trees, stick around Brook Run for the 1st Annual Bud-n-Burgers Festival which will crown Atlanta's Best Burger. All Saints Church is currently selling pumpkins at great prices and was just told that they will be hosting a Chastain style concert for the community on Sat Oct 24th with the Men in Blues wailing on their guitars. Tickets & tables are available from trantowd@aol.com and I'm sure I will have more information as the date gets closer. Judge J. P. Boulee introduced himself, the candidates Becky Springer, Terry Nall, Chris Grivakis, Steve Chipka and Mike Davis made quick introductions. Senator Fran Millar addresses DeKalb CEO position, Tax Assessment Appeals, DeKalb Grand Jury Process, DeKalb Ethics Commission, Presidential Politics, and State Tax Policy. For the past two years, I have worked with attorney Walter Hotz (appeals@boetaxappeals.com) to level the playing field for homeowners and businesses when they appeal their property tax valuations. Commissioners in Gwinnett, Fulton, DeKalb and other counties need to remember the property tax bill is the largest obligation many of their constituents face. We want to make sure the provisions outlined below are followed in all counties, not just those in metro Atlanta. Effective Jan. 1, a taxpayer can request certain information on how a Board of Tax Assessors arrived at a new assessment value. There are now penalties if the board does not respond or responds with less than candid information within 10 business days. A tax assessor representative must meet with the taxpayer at the taxpayer’s request within 30 days; there are monetary penalties if the assessor fails to comply. Also, the taxpayer can record the interview. Taxpayers should put in their opinion of the assessed value when they appeal. If the tax assessor fails to do certain things, the taxpayer’s opinion becomes the assessed value. If the taxpayer submits an appraisal performed by a licensed appraiser, and it was done nine months prior to the date of assessment, the tax assessor has 45 days to state whether the value is accepted, or give the reasons why it is being rejected. If the taxpayer is appealing more than one property, the taxpayer can consolidate all the appeals into one. Now — and this is the most significant benefit for the property owner — a taxpayer may ask that the county disclose the evidence it will use against the taxpayer in the tax appeal hearing. This must be provided at least seven days before the hearing. Three negatives in the bill (not from us, also effective Jan. 1) require the taxpayer to attend the appeal hearing, or submit evidence in writing, in order to freeze the tax value of a home or business for three years. But filing a subsequent appeal during the freeze “unfreezes” the freeze. Finally, the freeze is lifted if the county makes a record-keeping error regarding the description or characterization of the property during the freeze. There are three big issues I plan to resolve through future legislation. First, a Board of Tax Assessors cannot change a person’s tax assessment once it is published. One county is telling its Board of Equalization — the panel you face at an appeal hearing — that it has the power to raise a taxpayer’s assessment if evidence is presented that justifies such an increase. This needs to be prohibited by statute. Second, one county is threatening to send letters to taxpayers that if they pursue an appeal, the Board of Equalization may increase the assessment without limitation. The taxpayer would be given a notice to sign and return if they wish to withdraw their appeal. This attempt to kill appeals also needs to be prohibited by statute. Third, we need to look at a cap on how much an assessment can increase in a given year. I am not sure what the correct percentage should be, but discussion needs to take place on this topic. Your thoughts are welcome. 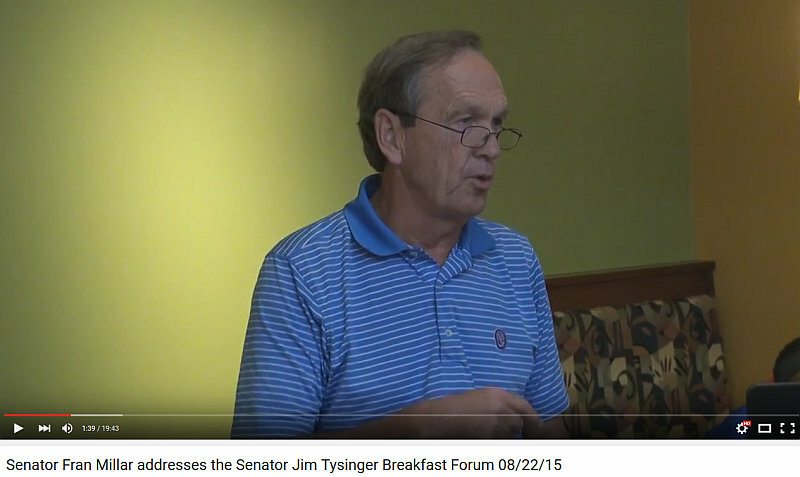 State Sen. Fran Millar represents District 40, which includes parts of DeKalb, Fulton and Gwinnett counties. Dunwoody Parks Master Plan Update - coming soon. Our intent for this parks and recreation master planning process is to update the direction for parks and recreation improvements and functions based on the evolving needs and priorities identified by the community. Task 1 will be to update the citywide parks, recreation and open space master plan. This plan will include an update of green space, park facilities and park needs, assessment to evaluate current level of service, study potential and appropriate acquisition needs, and identify existing private and public recreation opportunities. The development of the master plan should include extensive public involvement to capture the park and recreation needs and desires of the community. The master plan update should combine the public input with the needs assessment to help craft a long-range blueprint for use of park and recreation areas. • Address the City’s role in meeting the recreational needs of the residents of Dunwoody. • Guide decision-making with regard to park, building and facility usage, policy, operations, short- and long-term maintenance costs and capital improvement expenses. • Promote strategies which will support and encourage public health and safety and improve quality of life for the citizens. All Saints Church in Dunwoody is hosting a Community Fall Festival with Food Trucks, music, inflatables, artist market and much much more. 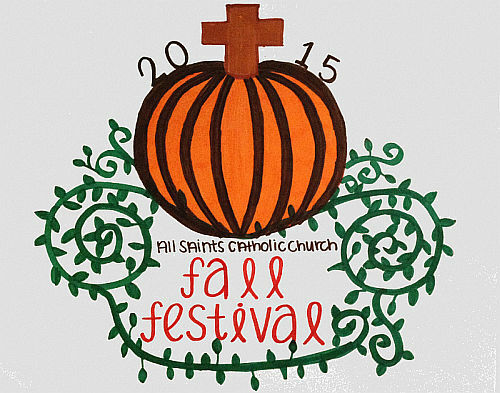 All Saints Catholic Church is hosting a community Fall Festival tomorrow & Saturday with what looks to be free entertainment for all in attendance. Friday, 5-8 - Food trucks, Chick-fil-A, adult beverages (including craft beers), music and inflatables. If weather dictates, the inflatables will be in the gym. Food truck vendors planned for Friday night are: Incrediball Falafel, Flatbread Bistro, Viet-Nomie's Gourmet Food Truck & Cafe, Daddy O'Brien's Irish Ice Cream Pub, and Lenox Cupcakes. Craft beers for the grown ups and Chick-fil-A Jett Ferry Road, so the kids will be happy too! Saturday, 10-3 - Artist market, food, music, inflatables, contests, raffles, kids' crafts, face painting. The Chinese community will also be serving food from 11-2pm. No tickets needed. Free entry for everyone. Sunday's Dunwoody Homeowners Association Meeting to allow candidate introductions & then will discuss 2016 City Budget. Sunday, October 4, 2015 @ 7:30 P.M.